Starting garden seeds used to be such a chore. Oh, don’t get me wrong, it was fun and exciting but I would have egg cartons everywhere filled with dirt and seeds. And, we will not talk about how much of a mess was made when one got knocked over! Egg cartons with seeds or seedlings were sitting under each window we have in the basement that go a decent amount of sunlight. We set up a small table in front of them and that is where the seeds got their start. Here are some pictures I found of the way things were. 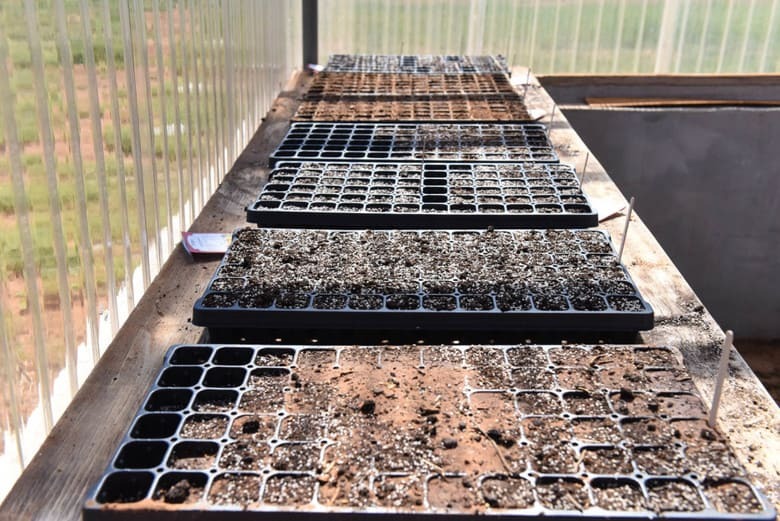 I purchased seed trays and sterile seed starter potting soil at a local nursery. John built a potting bench that was just the right height to work on! Below you can see the seeds – I think these were bell peppers. The sun was so bright that it began to be difficult to see the seeds to press them into the soil! I am sure some places got not one, but two or maybe even three seeds in them! 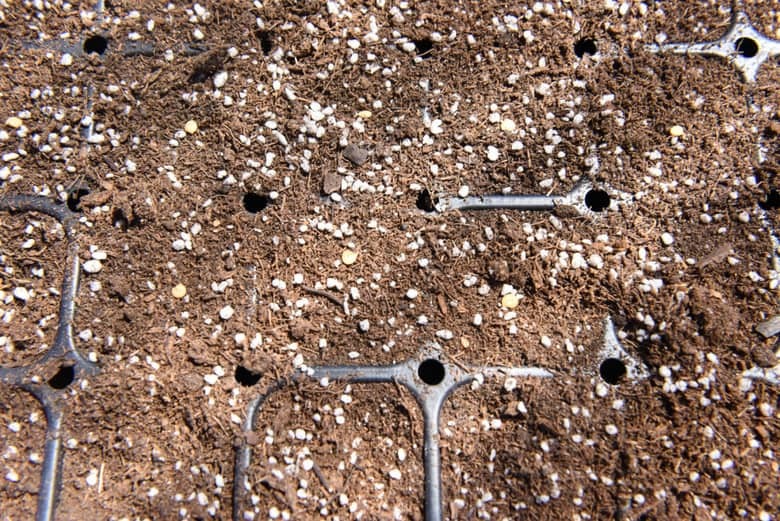 Hint: Don’t be fooled by the white perlite – the seeds are more tan colored. 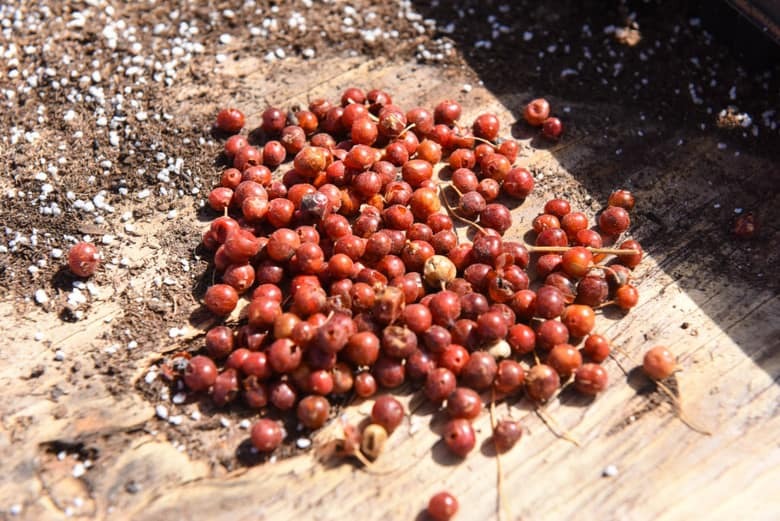 The seeds have been watered and are now covered to help keep in the moisture – we are having unseasonably warm weather and without a cooling system, the greenhouse can get very warm which would cause the seeds to dry out too fast. 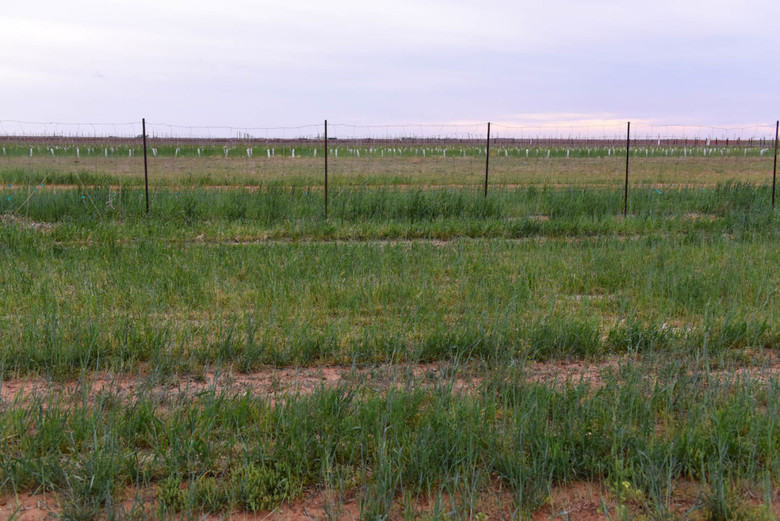 Several years ago, we planted an asparagus bed in which we planted the asparagus crowns (be sure to check out the pics because they looked like globs of spaghetti noodles!) that has done very well. We all love this time of year when the asparagus begins to break out of the ground and we can eat it! I had never thought about starting garden seeds to include asparagus but last year, the asparagus had small red berries which contain the seeds – you can see them below. So, we planted a tray of asparagus and will see how it does. 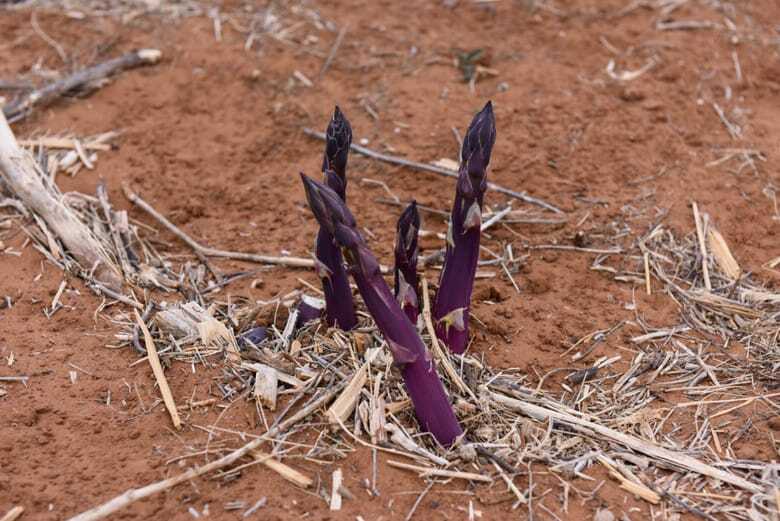 Here you can see some purple asparagus coming out to be eaten – yummy! If you have never tried asparagus, it is delicious lightly sauteed in butter on the stove or another favorite is Oven Roasted Parmesan Asparagus. I guess I haven’t given an update on the winter garden planted in the greenhouse since the Gourmet Radish Sandwich recipe. This year has definitely been a learning year but we are pleased with the produce we have grown. The radishes and kale have been the most prolific. But, lettuce has also done well along with beets, cabbage, broccoli, carrots and parsnips. 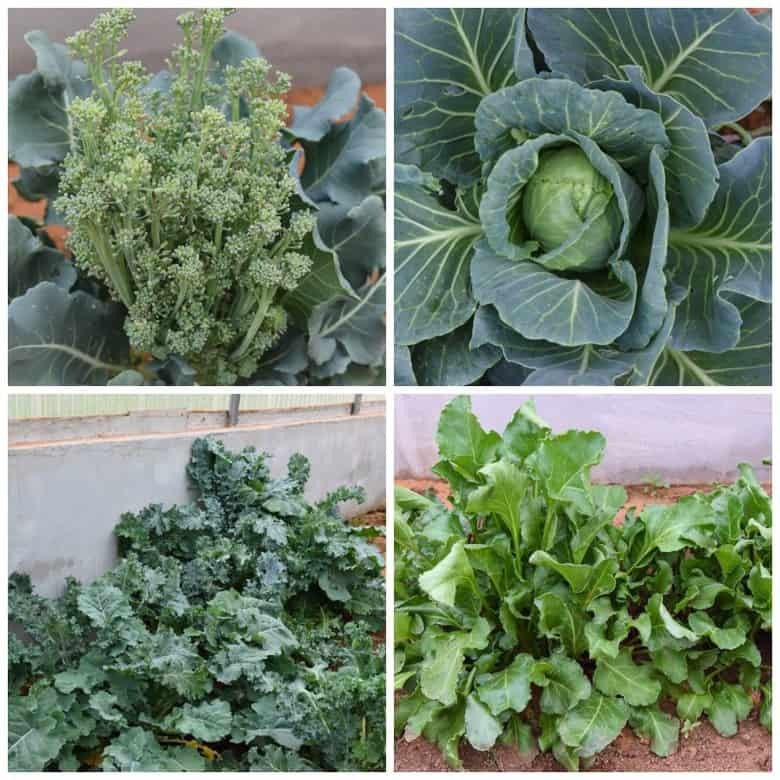 In the photo below you can see in the top row left to right – broccoli and cabbage. The bottom row shows kale and beets. Growing your own vegetables is not only rewarding and healthy but is sure helps on the food bill! In preparation for this year’s garden, John planted winter rye. We have a lot of nematodes that attack the roots of plants – especially squashes. Nematodes do not like rye which makes it an effective organic way to get rid of nematodes! 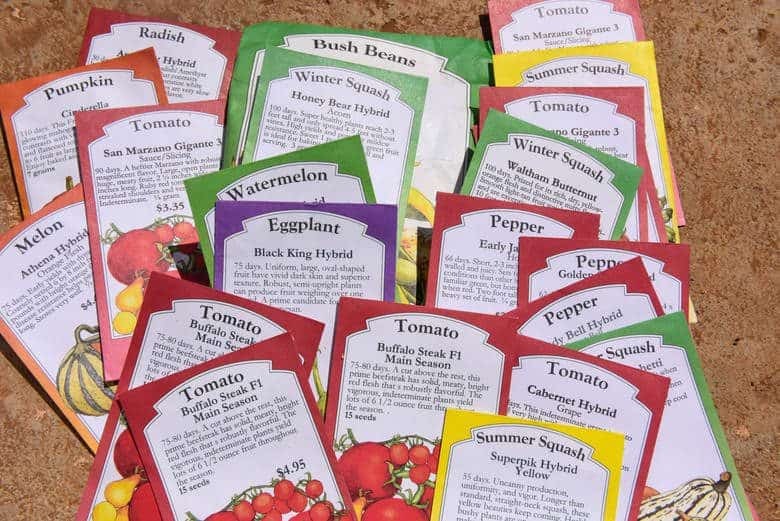 How about you – are you starting your garden seeds yet? If so, what have you planted? Nice post! We recently just built a greenhouse at our school farm. It makes it so much easier to get good starts in the ground when you can plant a few weeks before the last frost.